Over the Christmas holiday, award-winning journalist David Sirota became the target of Democrat Party Twitter vitriol when he dared to publish a column criticizing the new DNC superstar Beto O’Rourke’s funding sources and voting record. It took less than 24 hours for an article containing nothing but facts readily available to anyone who cared to go look for them to become a “war on Beto” by supporters of Bernie Sanders. By Boxing Day, DNC mouthpiece Neera Tanden was shaking her head sadly that she, too, was suffered the pain of the innocent for the last two weeks. For the record, I will be 71 in two weeks, am a White cis-female, have been a registered Democrat for 50 years, and resent being referred to as a “Bernie Bro.” So do the half-dozen women who responded when I posted that to Twitter. None of us has ever “attacked” a New Democrat with anything other than facts. Several women have been virulently attacked, however, by people alleging to be Sanders supporters, which suggests there is already a well-coordinated campaign in place to reinforce the idea real Sanders supporters are fanatical trolls. Remember Correct the Record? It hasn’t gone away. The ridiculous assertion that criticizing a candidate is somehow an “attack” is the latest version of Democrat Party establishment gaslighting. The New Democrat contingent feels free to tell Sanders supporters, 80% of whom voted for their candidate, what they should be talking about. It’s the precise kind of “We know best” attitude that is really what drove those conservative Democrats in rural areas to vote for Donald Trump. I know because they’ve said so over and over to researchers and interviewers who actually went there to listen. It’s the corporate media who persist in dismissing the Sanders message as “all about the economy”, not Sanders supporters. We are quite aware the needs of the many are much more complicated than “economic anxiety” or whatever euphemism is used for “people are one flat tire from being homeless and dying” in any given week. The media then go on to provide “examples” of a few white men in Iowa or somewhere else that’s not located on the East or West Coast who said they voted Republican because were against voting for a woman, or who’ll spout racist propaganda, ignoring the very real problems everyone not in the privileged 25% Thomas Frank calls the Professional Class suffers on a daily basis because of neoliberal economic policies and globalization. Bernie Sanders saw a need to call attention to the real world, the one outside the Beltway and the suburbs where The Comfortable live, and he did that by choosing to challenge Hillary Clinton. He did so by declaring he was running as a Democrat, which is how it’s done in Vermont. Yes, there were people who heard his message and ignored the part where he said over and over it was not about him, but about the message. We’re a culture that’s been trained to expect superheroes to swoop in and fix everything for us. Bernie never said he’d do that, but it didn’t prevent people from assuming he would anyway. He has also been criticized for focusing on economic issues to the exclusion of other things, like racism. Which, if one only looks at the surface, could appear to be true. However, anyone who has ever faced a huge job knows you don’t get it done by doing a little here and a little there. You figure out what you can do that will address the overall problem and start there. Bernie Sanders knows that people, and particularly women, of color are at the bottom of the economic scale. He knows that is partly a function of racism, but also understands the greater issue is systemic inequality. Children are going hungry in this country as I write, not because they don’t have hardworking parents but because the jobs those parents can get are low-paying and all too often part-time/on-call gigs. Again, this is particularly true for women of color. “Economic anxiety” is very real, and a perfectly valid reason why people refused to embrace Hillary Clinton, a candidate who ignored what they said, and instead bewailed the fact they wouldn’t accept that she knew what they needed better than they did. Oh, and I know HRC never said that in public, but it was reported by two of her media fans in the book Shattered. I don’t expect this to have any effect, as it’s clear the effort to block a Sanders run in ’20 is already polished and in full swing, just as the program to block progressive candidates from running in the midterms was blatantly obvious. The problem this time around is that people know that’s what it is, and the Democrats might want to pause a moment and rethink it. Unless they get past their arrogant assumption the voting public is too stupid to learn the facts and make an informed choice, they’re just another obstruction. Rendezvous with Oblivion: Reports from a Sinking Society is a collection of essays from 2011 to the present that provides a travelogue of the downward journey of the US. Not that it starts at the top of the hill, because for the bulk of the population that’s been forbidden territory for several decades—only the nobility gets to occupy the castles. Those unfamiliar with Mr. Frank’s work should consider reading his earlier books The Wrecking Crew and Listen, Liberal! before joining him on this trip. The former answers the question many who only became politically involved during the 2016 election keep asking, which is “What are the Republicans doing?” The latter explains that it isn’t just the Republicans, and why. In politics, of course, the scam and the fib are as old as the earth itself. Even so, the past decade has been a time of extraordinary innovation in the field…Millions of Americans came to believe that everything was political and that therefore everything was faked; that everyone was a false accuser so why not accuse people falsely; than any complaint or objection could ultimately be confounded by some clever meme; that they or their TV heroes had discovered the made-up argument by which they could drown out that still small voice of reality. So, the first part describes how we came to accept escalating inequality, encouraged by politicians on both sides of the aisle who lied and obfuscated to ensure we stayed convinced there was really nothing wrong. That if the benefits of the tax cuts and the trade deals and the bank deregulation somehow missed us…well, it was our fault for not working hard enough, or for making bad choices, or not getting the proper education. Supported by news media and TV and movies that bombarded us with the message that the billionaires were the above-mentioned heroes we must needs struggle to emulate. Meanwhile, the first African-American president, who promised us hope and change, saved the banks and the Wall Streeters while millions of the middle-class lost their homes and/or their retirement funds. The one percent got the of both [“a brief experience with deficit spending” then President Obama’s “famous turn to austerity”]: not only were they bailed out, but the also chalked up some of their best years ever under Barack Obama, taking home 95 percent of the nation’s income growth during the recovery. And speaking of not getting the proper education, that’s the topic of Part 2: “Too Smart to Fail.” This section covers the encroachment of neoliberalism on campus, which has led to a decrease in the number of tenured professors and an increase in the number of adjuncts most of whom can’t live on what they’re paid and don’t know from one week to the next if they’ll even have a job. In fact, a writer I know who works as an adjunct had a class he was counting on to pay his living expenses cancelled four days before it was scheduled to start, with no compensation. And then there is soaring tuition, which more and more goes to pay inflated salaries for legions of unnecessary administrators while services (and those tenured professors) are cut back. Four-year college graduates are re-entering the world carrying a massive load of debt, which is not just stressful but a major drain on the economy both because wages and salaries have stagnated or actually declined in the last four decades and because money that goes into the vaults of lenders isn’t being spent in the economy. [E]very democratic movement from the Civil War to the 1960s aimed to bring higher ed to an ever widening circle, to make it more affordable. Ours is the generation that stood by gawking while a handful of parasites and billionaires smashed it for their own benefit. Part 3, “The Poverty of Centrism,” traces the path by which, beginning in the 1980s with Ronald Reagan and continued unabated by those administrations that followed him, the rich got filthy rich and the 90% were tricked into believing keeping them that way was good for us. To a Washington notable of the pre-Trump era, a team of rivals was a glorious thing: it meant that elections had virtually no consequences for members of the consensus. No one was sentenced to political exile because he or she was on the wrong side; the presidency changed hands, but all the players still got a seat at the table. The only ones left out of this warm bipartisan circle of friendship were the voters, who woke up one fine day to discover what they thought they’d rejected wasn’t rejected in the least. Even so, his criticism of the Democrats was apparently sufficient to get him blackballed by those major news media he tries hard not to accuse of bias. The final section, “The Explosion” addresses the why of the election of Donald Trump and why it was the direct result of the Democrat Party’s refusal to accept that they could no longer take their traditional working-class and minority base for granted. Which brings us to this year. Trump succeeded by pretending to be the heir of populists past, acting the role of a rough-hewn reformer who detested the powerful and cared about working-class people. Now it is the turn of Democrats to take it back from him. They may have to fire their consultants. As I said earlier, I wouldn’t recommend this as an introduction to Thomas Frank’s work. 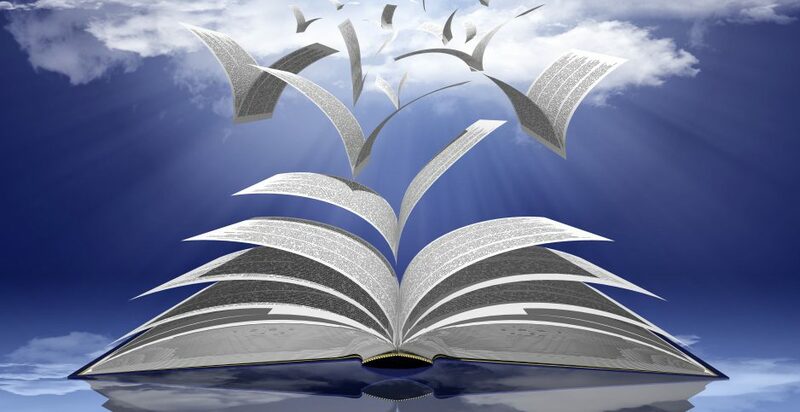 The broad scope of the subject matter is easier to take in context if one has a background in what he’s written at length. For those familiar with that body of writing, these essays are sharp-tongued snippets of the history of the last seven years, with reference to those that preceded them. They do require personal honesty, in that we who allowed this mess to come as far as it has must take the responsibility for not paying attention and staying informed. Well done, Mr. Frank. May we please have some more? It’s probably unnecessary to note that, for at least the last decade, we US residents no longer live in a democratic republic. Thanks to a series of business-friendly Supreme Court decisions, our representative government is now filled with employees of a plutocratic oligarchy. And, as of November 2016, the political party their employers co-opted completely in 2009 own all three branches of government. The checks and balances established by those who wrote the Constitution to ensure We the People remain free and independent are the victim of corporate raiders. Thom Hartmann’s book, first in 2004, emerged at a time when the above was a threat observed mostly by independent journalists and those who were awake to the danger. The second edition, updated in 2009 when Charles and David Koch held the first of their semi-annual “conferences” that gave birth to the Tea Party and consolidated the GOP into their weapon of choice for the destruction of government as we know it. That the government hadn’t been what most people believed for at least 30 years and probably longer is a testament to what happens when people’s traditional source of information—the mainstream media—has been debased into a corporate propaganda. Mr. Hartmann’s book traces the history of the corporate takeover of the US government from the triggering event, the 1886 SCOTUS decision Santa Clara County v. Southern Pacific Railroad, to the pivotal 2010 Citizens United decision that opened the previously controlled floodgates of cash from billionaires and corporations into our election process. On the way, he discusses the relationship of the country to corporations, making clear the Founding Fathers were, with some exceptions, opposed to their having any hand in the government process. Ironically, one of those who thought otherwise is the protagonist of a current musical much beloved by the Democratic liberal establishment—Alexander Hamilton. That Hamilton firmly believed the rich and powerful should be in charge of the US government tends to get lost in translation. This isn’t an easy book to read, which is as it should be when you’re trying to educate people unaware of the subject in a way that will enable them to both understand the problem and begin what has become an increasingly difficult fight to correct it. I don’t recommend trying to read it quickly, even if you’re one like me who can do so if need be. This is important information anyone willing to pick up the gauntlet and take back the country needs to not just understand but know well enough to persuade those who still don’t understand. My copy is studded with pink Post-It flags so I can find the bits I consider most telling, and that might be the best way to read it. Eight years ago, the situation was bad; it has since become dire. There is no question the only way to bring down the neo-feudalism taking over the country is to amend the Constitution so corporations are once again reduced to the artificial constructs they are. There is another irony that isn’t addressed in the book, since it’s of recent birth, which is that the same billionaires responsible for the corporate takeover are now paying to convene a Constitutional Convention of the states for the alleged purpose of passing a balanced budget amendment but which will actually be open to becoming a Wild West aggregation of right-wing zealots whose actual goal is likely to gut the document entirely. Unequal Protection is an important book for those who refuse to sit still in the face of a plutocratic revolution to overthrow the republic. It needs to be on bookshelves right next to Mayer’s Dark Money and Klein’s Shock Doctrine. If you’re part of the 1%, you’ll hate this book. If, on the other hand, you’re wondering how it is that the rich are getting richer while the middle class gets poorer, this is the place to start. 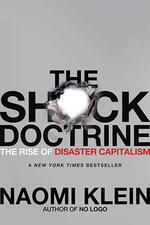 The Shock Doctrine is an historical review of how the brand of no-holds-barred free-market capitalism advocated by economist Milton Friedman and the Chicago School of Economics, with the able assistance of the CIA, the IMF and the World Bank, have systematically destroyed budding democracies worldwide, brutally murdering and torturing those who would challenge them, in the name of profit. From the 1950s, when the CIA overthrew the democratically elected president of Iran, Mohammed Mossadegh, to the invasion of Iraq in 2003 on false pretenses, the steady erosion of democracy both in the US and worldwide has brought us to the present situation where 1% of the world’s population controls half of its wealth. To aid in this imperialist campaign, the CIA has trained hundreds of well-paid “revolutionaries” in the methods of torture the world got a firsthand look at with the exposure of Abu Ghraib. The official story was this was a case of over-zealousness. It wasn’t. It’s standard procedure. It’s happening right now at Guantanamo and likely in any number of “black sites” in distant and not so distant places. As we speak, a group of billionaires, including Bill Gates, Michael Dell, and the Waltons, are spending millions to destroy free public education. The GOP and neoliberal Democrats have been trying to privatize Social Security for decades. This isn’t just ideology. It’s a well-planned agenda for eliminating all government-supported programs. With each incursion into eliminating the possibility that people who have suffered under one form of colonialism or another for centuries will manage to take ownership of their own countries, the Friedmanites who ousted the Keynesians responsible for the New Deal and the development of the International Monetary Fund and the World Bank have replaced popularly elected governments with well-financed thugs willing to sell their countries’ assets to the highest bidder. If a few thousand peasants die or are murdered in the process, that’s of no concern to anyone involved. As long as the corporate shills follow the rules, they can live in sybaritic luxury as long as there are wire transfers and suitcases full of cash to be had. This book came highly recommended by several people, and if the current disaster that US democracy is becoming matters, it’s essential one read this book to understand the mindset of those seeking to destroy it. Where the neoliberal agenda has been imposed, the only ones to benefit are the corporations, the wealthy, and the thugs they recruit to carry out their plans. Most frightening, much of the logistical functions of the US military have been handed over to private corporations like Halliburton and Blackwater, which are training enough mercenaries to create private armies with the full cooperation of Congress and, apparently, the judicial and executive branches of the US government. I never studied economics, and while I’ve broadened my knowledge base in that area a fair amount recently, I still appreciate when an author can present important and necessary information in a way that’s accessible to the amateur. Ms. Klein does that very well, and having finished her book, I can only hope it’s not too late to save ourselves from the plutocrats who want to turn the world into a corporate oligarchy.